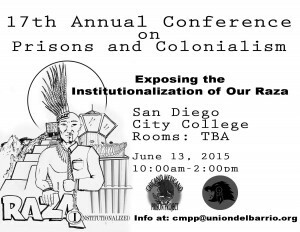 This years conference will address topics that directly impact the Mexicano/Raza Community including the militarization of our schools, the school to prison pipeline, and other topics that impact our Raza’s relationship to the Prison Industrial Complex. 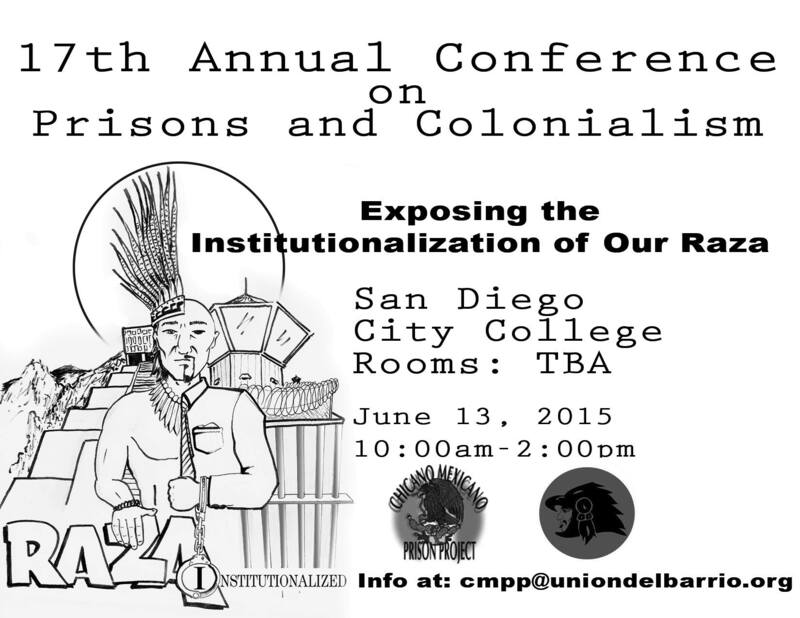 The Chicano Mexicano Prison Project – a Project of Unión del Barrio is committed to exposing the attacks on our gente and the Prison System’s hand over fist profit at the expense of our community. This conference will feature panels to deal with the central questions facing our people – en las Calles y en la Torcida. This entry was posted in 2015, 2015 Events, K-12 News & Events, Prison Work News & Events. Bookmark the permalink.